Breakfast. 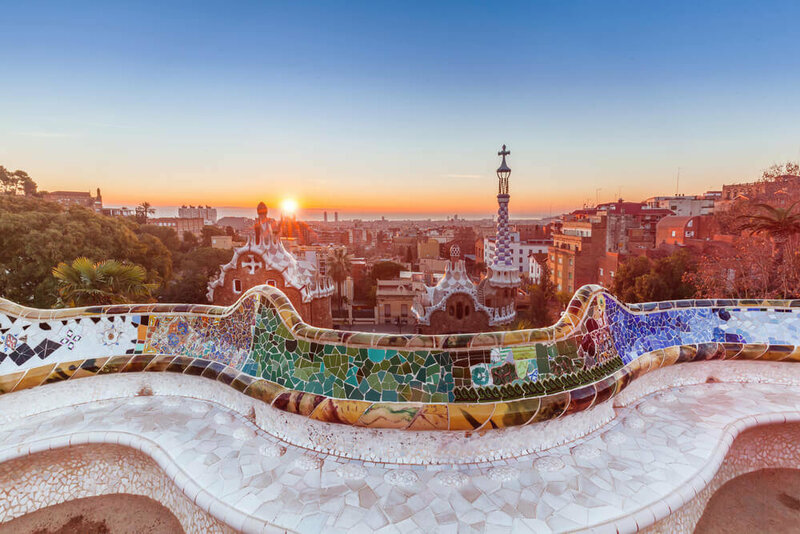 A sightseeing tour of Barcelona during which you will see the masterpieces of Antonio Gaudi: as well as the Paseo Gracia, Plaça de Catalunya, Montjuic hill, the Olympic Village. Moving to Madrid with a short walking tour through the center of Zaragoza. Late overnight. Breakfast. A sightseeing tour of Toledo, during which you will see the old center, The Cathedral, Synagogues. Dinner. Free time. Overnight. Breakfast. Walking sightseeing tour in Madrid. Free time. There is a possibility for various additional excursions for an extra fee. Dinner. Overnight. Breakfast. Moving to Valencia, acquaintance with its historical center, visiting to the “Porcelain Town” of the famous Lladro factory, where are presented the best compositions and works, and shows the process of their creation. Overnight. Breakfast. Moving to Cost Brava. On the way stop with a visit to charming Peniscola. Hotel accommodation in Lloret de Mar. Dinner. Evening walking tour in Lloret de Mar. Overnight. Breakfast. Excursion to the Theater Museum of Salvador Dali in Figueres with a stop in the medieval city of Gerona. Spanish wine tasting. Dinner. Overnight. Breakfast. Group transfer from the hotel to the airport. End of tour.